Almost everybody knows the advantages provided by mobile technologies to the companies. However, despite all the developments and the increase in investments to the mobile sector, still, some people and businesses have mobile marketing misconceptions. These mistakes that focus on especially mobile industry’s effect and investment costs cause companies to deprive of mobile investments’ comeback. Moreover, unlike the enterprises that started to form their marketing and advertisement investments on mobile almost in every sector, companies, which refrain from mobile, lose their competitive advantages. As MobiRoller, we compiled misconceptions about mobile marketing. Many companies and managers fall into a false belief that their customers do not use mobile internet. 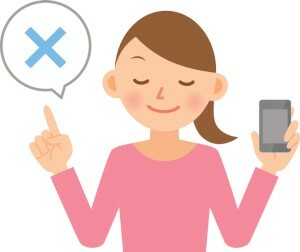 In a study including companies that do not invest on mobile, the reason for that disposition is indicated as customer’s lack of interest with 56% rate. However, according to the studies, there are approximately 2 billion smartphone users in the world. 80% of these are also mobile internet users. It is expected for smartphone user number to reach 3 billion by 2016. All these statistics indicate that it is a mistake for companies to think that customers do not show an interest in mobile investments. Also, it is a known fact that especially young users, called Generation Y, are almost addicted to the mobile, and they satisfy their needs including daily ones via mobile devices. Even though it is widely known that investing in mobile marketing is important for every industry, it can be wrong to think that some sectors are not affected by these kinds of technological developments. Even though there are company holders who support this idea, we can say that customers do not agree with them because studies show that customers primarily use their mobile devices for searching brands and products or making complaints. Companies standing by their clients in any situation with their mobile apps can be one step ahead in the sector. Therefore, those thinking that mobile is unnecessary in sector blend into the background in rivalry without being aware of the situation. One of the unreasonable fear for companies who believe the necessity of mobile is its costliness. Due to the lack of technical knowledge, companies, who think that this investment will cost a lot, can understand that this fear is for nothing thanks to MobiRoller. Related post: How much should it cost to hire an app developer? MobiRoller that enables you to satisfy your any need without any technical knowledge and with a highly affordable cost help you to have your place in the mobile world with various choices fit in your job. With its powerful substructure, MobiRoller helps you to create your mobile app in the most efficient way. You can create your mobile app easily in a few minutes with MobiRoller’s user-friendly interface without needing technical information. Visit our website and start creating your mobile app as soon as possible. What mobile apps bring to financial institutions?